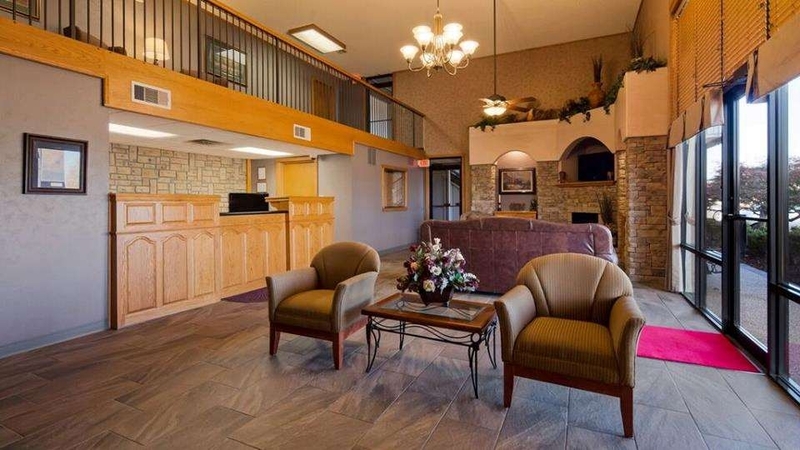 Das SureStay Plus Hotel by Best Western Poteau ist ideal in Poteau Stadtzentrum zu finden. Erleben Sie ein schöner Aufenthalt in der Nähe von alle Sehenswurdigkeiten. Bestpreisgarantie und exklusive Angebote. Vom unwiderstehlichen Herbstlaub für Fotografen bis zum Poteau Skate Park – in Poteau, Oklahoma gibt es stets viel zu erleben. Ganz gleich, ob Sie geschäftlich oder mit der Familie unterwegs sind, ein komfortabler Aufenthalt in ruhiger Atmosphäre ist immer wichtig. Wir sind bekannt für die Sauberkeit unseres Hotels, und unser kostenloses, komplettes Frühstück bietet den perfekten Start in jeden Tag. Das Frühstücksbuffet unseres Hotels von Poteau umfasst heiße Eier, Würstchen, Frühstücksbrote und Gebäck, frisches Obst mit Joghurt sowie Müsli und Cornflakes. Genießen Sie dazu ein Glas gekühlten Saft oder auch 100 % Arabica-Kaffee. Ganz gleich, ob Sie sich entspannen oder mit der Kamera traumhafte Motive einfangen möchten, unsere freundlichen Mitarbeiter wissen, dass ein herzhaftes Frühstück den richtigen Start in den Tag bietet. Das lokale Ballonfestival schafft ein unglaubliches Panorama und wird von Amateuren und Profis gleichermaßen besucht. Hier sind Sie am richtigen Ort, ganz gleich, ob Sie einen eigenen Ballon besitzen oder Ihre erste Fahrt planen. Wenn Sie lieber auf dem Boden bleiben, bietet der nahe gelegene Talimena National Scenic Byway ideale Voraussetzungen für eine malerische Autofahrt und zahllose Entdeckungen. Dieses Hotel in Poteau ist auch für Geschäftsreisende ein zweites Zuhause. Das benachbarte Carl Albert State College zieht viele Studenten, Professoren und Verwandte an. Große Gruppen für Schulabschlussfeiern sind bei uns stets willkommen. Mitarbeiter des Kraftwerks von AES, der Eisenbahn, von Versorgungsunternehmen sowie Fachkräfte aus der Baubranche sind ebenfalls oft bei uns zu Gast. Vertrauen Sie der bewährten Marke von SureStay Plus?, die Ihnen alles Notwendige für einen komfortablen Aufenthalt bietet. Buchen Sie Ihren bevorstehenden Aufenthalt im einladenden SureStay Plus Hotel Poteau, und freuen Sie sich auf Service und Qualität! Genießen Sie Ihren Aufenthalt! 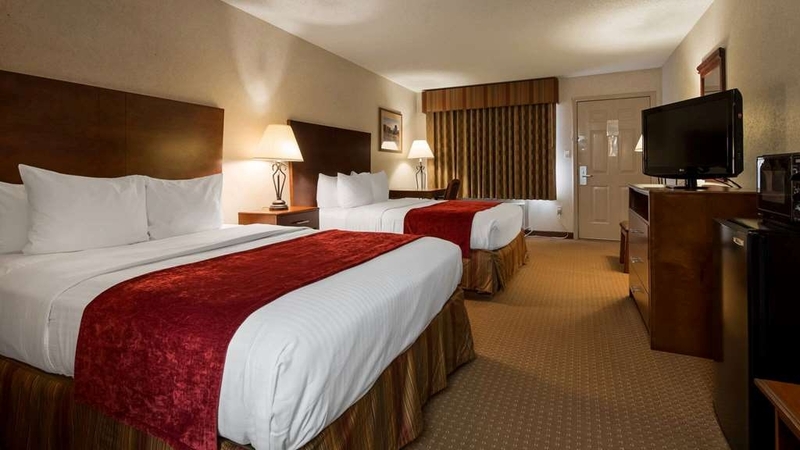 We stayed at the SureStay Plus Hotel by Best Western Poteau, OK, location while doing some geneology research in the southeastern Oklahoma area. The room was very reasonably priced and quite comfortable. Wifi was free and no-hassle to set up quickly. Breakfast was good, but the coffee could have been stronger. The hotel is located near restaurants and a Walmart (always a plus for picking up those forgotten items, and in our case some tools and supplies to clean, repair, and decorate some old family headstones). Parking was plentiful and free. We definitely would stay there again. "Ready without reservation to make another reservation." 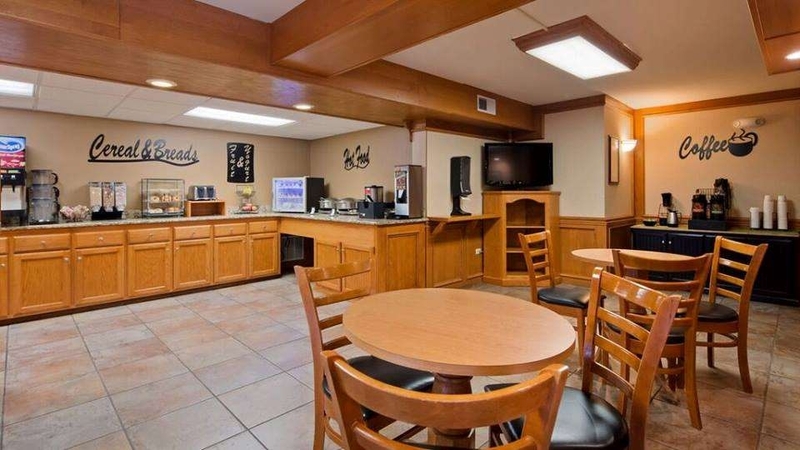 The picture you see of this Motel online is what you see when you arrive. 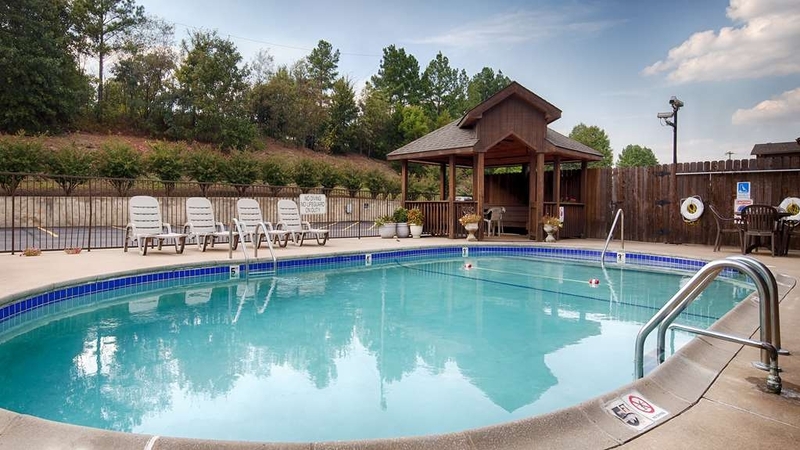 The grounds are very well kept, did not see any trash along curb in parking lot, very easy access to rooms and last but not least, very courteous and professional staff. would definitely recommend one of the nicest hotels around for the price!! awesome breakfast to top it off. will definitely be coming back and staying here again next time. very helpful staff and very polite !! Rooms were really clean, housekeeping kept them that way during our week long stay. Breakfast was good for a free breakfast. Staff were lovely. Wifi kept the kids happy. Location was perfect for what we needed. "Great place to stay for price in area"
A wonderful hotel in the area. Friendly service and peaceful atmosphere. 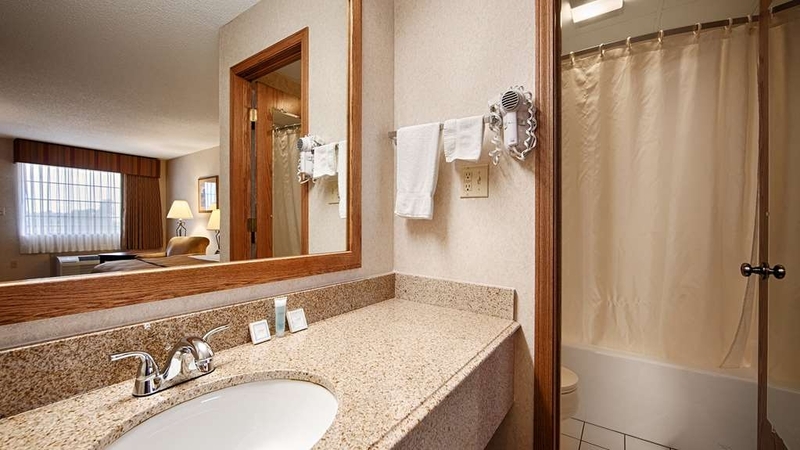 The king suite has a wonderful jacuzzi tube and the parking is easy, safe and accessible. The back forested area has nice floral plants and rabbits. I nice place to rest on very comfortable beds to feel rested and hangout around town. The staff was friendly and helpful. 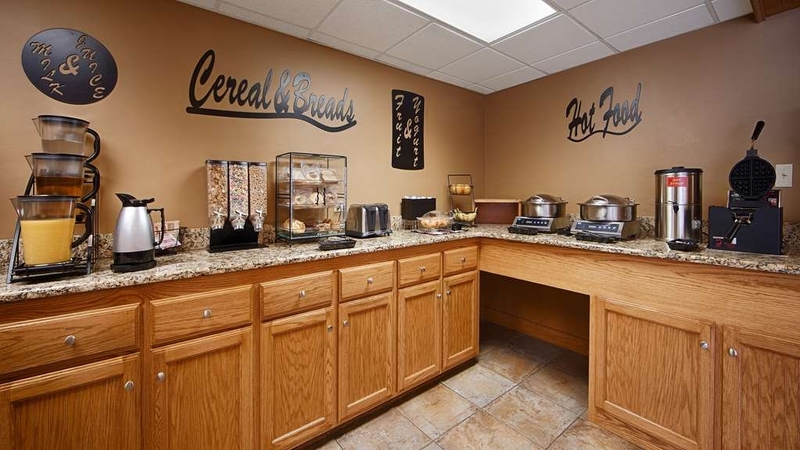 The rooms, breakfast area, lobby, and parking lot was very clean. The price was very reasonable. I will definitely stay there again on my next trip back to Poteau!!! Stopped here for a night and enjoyed a nice, clean, and well kept place. Everything looked almost new. Loads of channels on the flat screen provided by DirecTV, and there is also free wifi. We didn't try the complimentary breakfast so I can't comment on that. If you don't mind a room with an outside door, this is a great place to stay. Stayed here 3 nights. The hotel is very clean and well kept. Our room was very nice. Beds were wonderful. Staff here is very friendly and helpful. Our air conditioner was making a small noise but did not bother us so we did not report it. The next morning a maintenance man showed up with a new unit and replaced it. Housekeeping had let him know about the noise. I highly recommend this hotel. Thanks for staying with us. we will see you again. appreciate your Review. We were needing a place to stay for one night while some work was being done at our house. Everyone was very friendly and accommodating. Rooms are very clean. The AC was on and room was cool when we got there. Will diffidently stay there again and recommend them. Thank you so much for completing this survey regarding your stay with us. We greatly appreciate you wonderful comments. 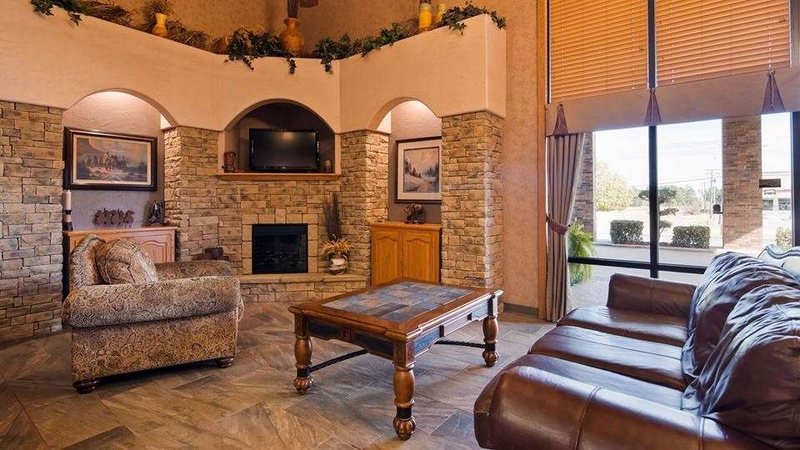 We also have an excellent housekeeping staff that makes sure everything is clean and ready for our guest. hope to see you again soon. Thanks again, Andy Gandhi, Owner. The staff was wonderful. The rooms are great and beds are very comfortable. The breakfast was wonderful and plentiful. Would recommend to anyone staying in the area. Close to restaurants and Wal Mart. The room was nice, clean and quiet. The bed was very comfortable. The employees was very nice and helpful. The eggs and sausage gravy was really good. Ideal location. We recommend that you try this hotel. Thanks for staying with us. We work hard to make our guests happy.appreciate your feedback! "Nice place along the way"
Great bed! 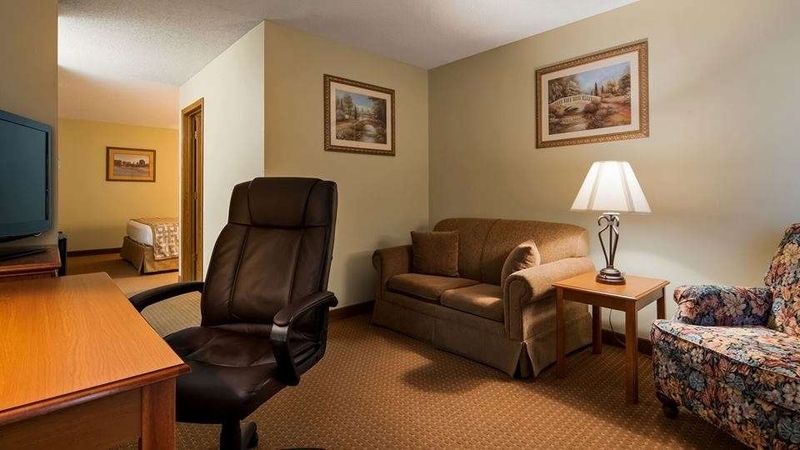 Nice size room with clean bathroom and good parking area. The young lady at the front desk was very personable and helpful. She helped us find a good place to go for diner that was in the old downtown area. We were in town for my daughter's wedding and were scheduled for one night. 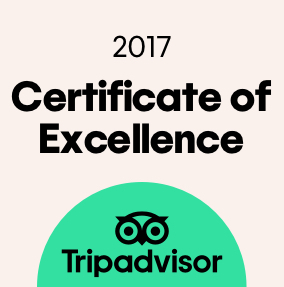 We ended up staying for 3, in part due to the facility's quality as well as the staff's friendliness and willingness to accommodate us. The full breakfast was ample and of good quality. We had family staying in a less expensive hotel not far from us but the extra money we spent was well worth it. I'd definitely recommend staying here. 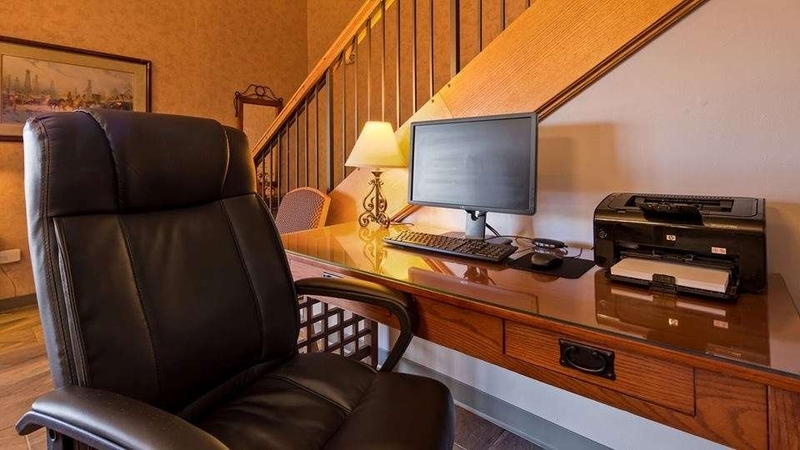 "Great stay for a small town." Beautiful cozy lobby. Friendly and accommodating staff at the front desk. Our smoking room wasn't as smoke-scented as most rooms. Very neat and clean. Flat screen TV with DirecTV, frequently outed with rainstorms. Low pressure on the sink faucet. Water smelled "earthy" but strangely pleasant to me. Breakfast was good and standard fare but Laura, the attendant was amazing and courteous. Sweet and witty. We will definitely stay here should business or pleasure, bring us back this way. We stayed here for some work we were doing in Poteau. It's an old hotel that has been well renovated. It's clean, friendly, and had no issues at all. We stayed a couple nights in 3 rooms. If you like DirectTV then you'll like this place. I booked his week's ago, the lady was very polite and informative. This place holds its own against the major chains we normally stay at. 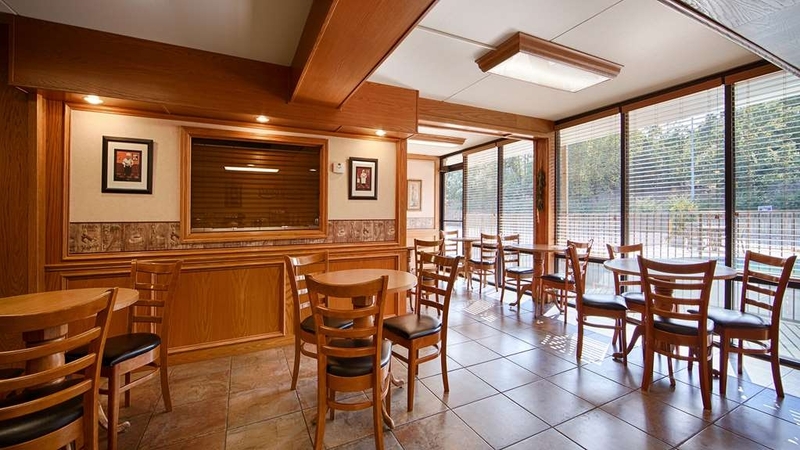 It is clean, the staff is friendly, free breakfast is outstanding and location is perfect. I recommend this place to everyone. "Stay anywhere else in Poteau..."
My girlfriend and I stopped here on our way home to stay for the night and one night is all it took. I guess it's been bought out by new owners and the place is terrible compared to how it was before. The person working the desk spoke broken English and was hard to understand. On top of that he was very rude. The breakfast was terrible. It was not hot and wasn't ready until closer to 6:30. They claim it starts at 6. We had to leave out by 6:45. The whole place has gone down hill since we stayed here 2 years ago. I highly recommend staying at one of the other hotels in this small town and save yourself the headache. I am currently sitting outside, with the door to my room open. I can smell the overpowering cleansers, even out here. When we notified front desk, they took us to another room, which smelled just the same. I have a terrible headache. I am so sorry to hear this. Please give us another chance I am sure you will love it here! Clean rooms. Nothing special. Cable was terrible and no workout room. Nothing to do in town. I might stay here again if I had to but wouldn't go out of my way to do so. Girl at the front desk was cordial and helpful. Breakfast eggs and sausage was terrible. We found ourselves on a totally random Spring Break road trip - and this is where we chose to stay for the night. I'm not normally a fan of hotels where the doors face the street (and not a hallway), but this hotel was exactly what we needed, when we needed one the most - and the free breakfast was pretty darned good too! Nicest front desks clerks ever. Great location. Good value hotel. Free wi-FI. 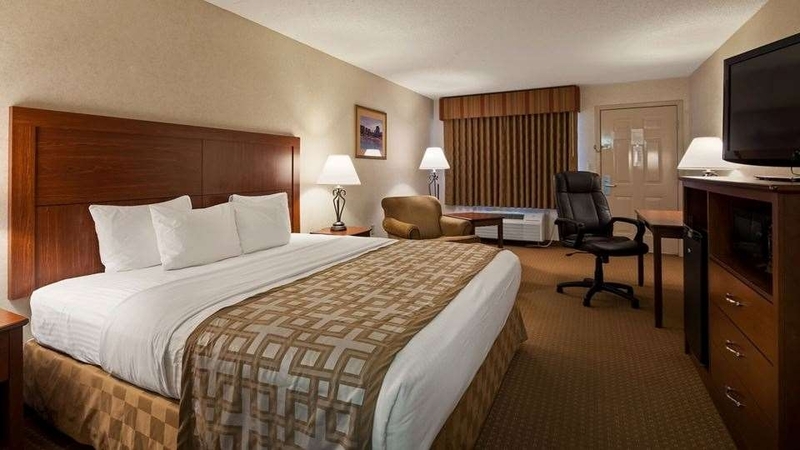 Comfortable beds and high quality linens. Rooms are clean and fairly large. High quality shower head. Close to everything in town. Best beds of our 4 day trip thru Oklahoma, room was big and clean ,newer model TVs,Bathroom clean and roomy .Breakfast was better than the other Name hotels we stayed at, the young woman in the area kept food stocked and hot. There was eggs ,sausage,gravy, waffles,and all the other things you expect and a little more. 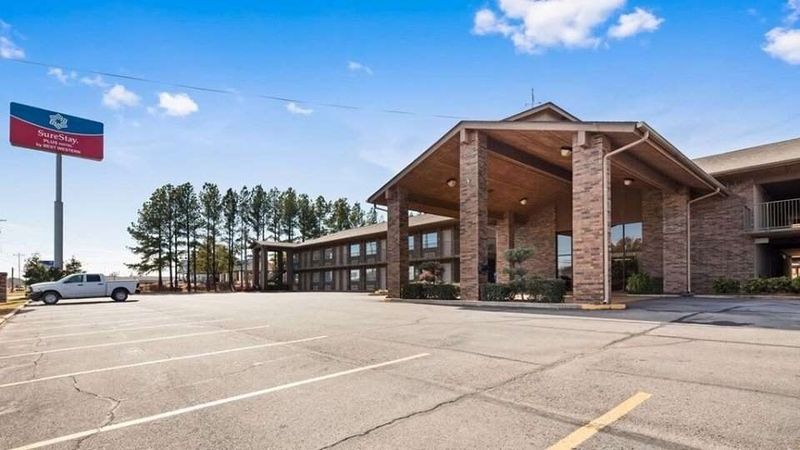 Four of us went to Poteau on a fall foliage trip recently and spent the night at the Best Western Traders Inn. 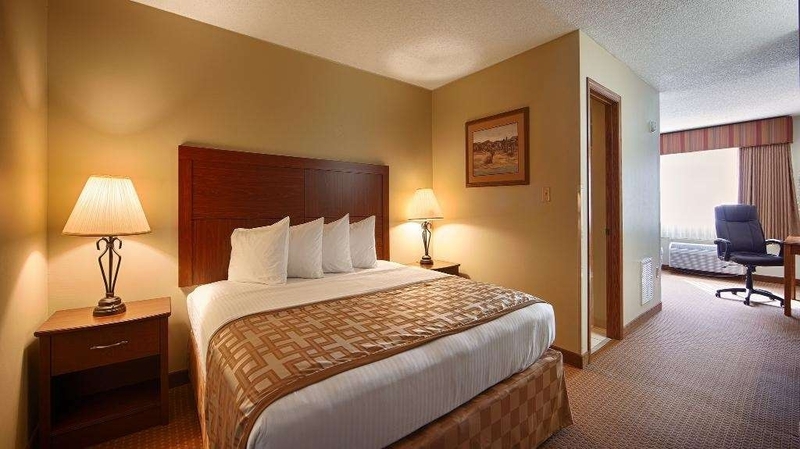 The room was comfortable and clean and the staff was wonderful. They were friendly and fun. The lobby area is beautiful and the breakfast the next morning was excellent.